NASA manifesto to be launched today by Raila Odinga focussing on Equity. - Bana Kenya News, Real African Network Tubanane. Home featured News NASA manifesto to be launched today by Raila Odinga focussing on Equity. NASA manifesto to be launched today by Raila Odinga focussing on Equity. NASA Manifesto to be launched today. The Manifesto will be focussing on building a none- tribal nation and include all main areas of basic living. 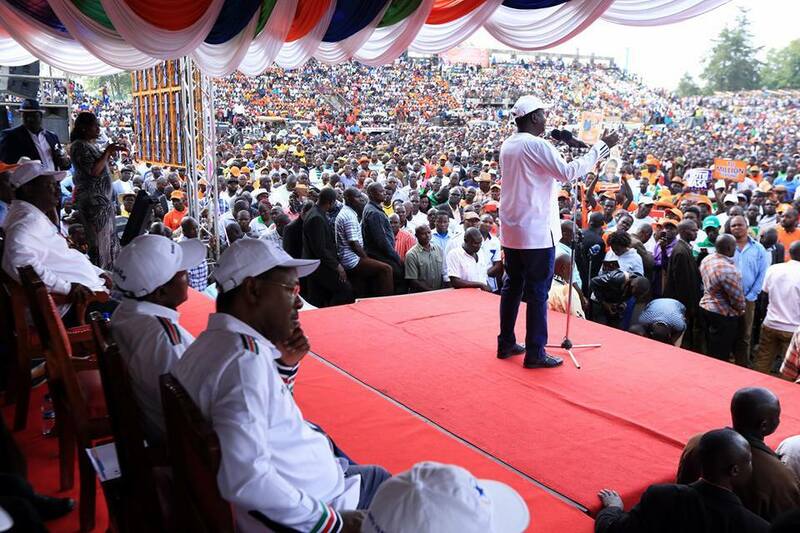 The NASA manifesto was divided into a regional manifesto and the National manifesto. "We are not a nation of 41 ethnic groups or 42 when we include the Makonde. Our government will treat all citizens equally and respectfully. Ethnic profiling of citizens in the issuance of national identity cards and passports will end," the manifesto reads. It adds, "Under NASA, no Kenyan will feel discriminated on basis of ethnicity, race, religion, gender, age or socio-economic status". NASA says men and women will have a right to equal treatment, including the right to equal opportunity in political, economic and social spheres. The coalition says its administration will provide a nation where leadership is inclusive. It says the State shall take legislative and other measures including affirmative action policies to redress any disadvantage suffered by individuals or groups because of past discrimination. "Nasa believes that devolution is the vehicle for the political and socio-economic transformation of our nation- the vehicle that will take us to the promise land," the manifesto says. "We will delegate the responsibility for Primary and Secondary school infrastructure to the county governments and create a framework for security collaboration between the national and county governments," it reads. "The culture of terminology of failures and dropouts will be a thing of the past. No child should be condemned to this stigma by an examination whose only purpose is to eliminate those who it has failed by not having enough schools" it reads. The Manifesto will be launched at noon and in attendance; NASA flag bearer Raila Odinga, Running mate Kalonzo Musyoka, Moses Wetangula, Musalia Mudavadi and Bomet Governor Isaac Ruto.